Arianespace has lofted the MOHAMMED VI - B satellite for the Kingdom of Morocco from Europe’s Spaceport in French Guiana — in doing so, this event marks the 13th consecutive success of the company's lightweight Vega launcher since entering service in 2012. The launch of the MOHAMMED VI - B satellite for the Kingdom of Morocco by Arianespace via a VEGA launch vehicle. 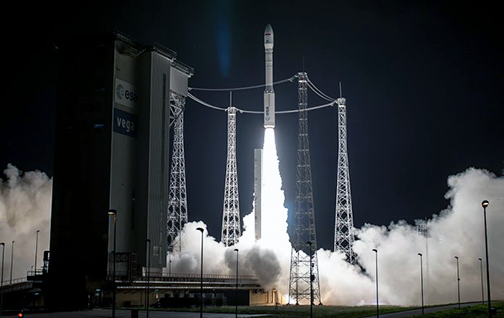 Designated Flight VV13 in Arianespace’s launcher family numbering system, this was the 10th mission with an Earth Observation (EO) spacecraft performed by Vega to date. Overall, the MOHAMMED VI – B satellite was the 67th EO platform orbited by Arianespace with the firm's family of launch vehicles for commercial and institutional customers. Thales Alenia Space is system prime contractor for the MOHAMMED VI – B satellite, supplying the payload — including the optical instrument, the image transmission subsystem, and the ground segment for image processing and production. Airbus, as satellite prime contractor, was in charge of its integration, as well as supplying the platform and the ground segment for mission planning and satellite control. Artistic rendition of Morocco's MOHAMMED VI - B satellite on orbit. The mission lasted 55 minutes from liftoff to payload separation and placed the satellite passenger into a Sun-Synchronous Orbit (SSO). 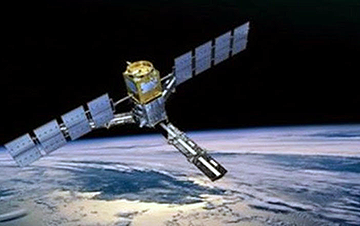 Once operational, the MOHAMMED VI – B satellite will be used primarily for mapping and land surveying activities, regional development, agricultural monitoring, the prevention and management of natural disasters, monitoring changes in the environment and desertification, as well as border and coastal surveillance. Flight VV13 was Arianespace’s second Vega mission in 2018, and the ninth this year using a member of the company’s three-member launcher family, which also includes the heavyweight Ariane 5 and medium-lift Soyuz.